If you truly love the sport of fishing, then you are no longer the one doing the catching. The fish have bagged you. You’re the trophy. Your weight is insignificant, and you don’t need to fear being stuffed and mounted on a wall. But you’ll always have a smile on your face when you’re out on the water. 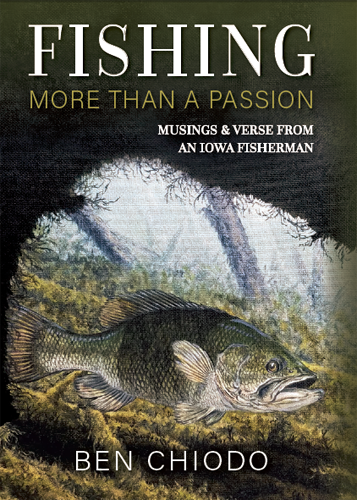 This is a book of prose, poetry, and farce written from the perspective of an Iowa fisherman. But is it more than that? Will it answer the ultimate question of why we fish? It’s up to you. Either way, one thing is certain: For some, fishing is an obsession.